Marvel Studios has give us their epic slate of films for the foreseeable future. 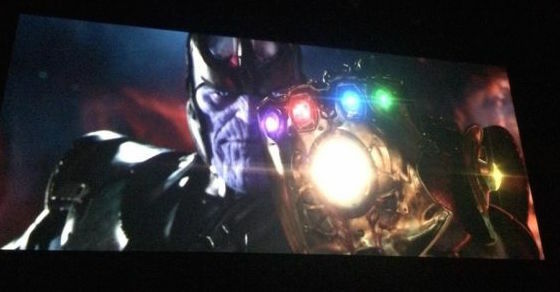 In that slate includes, ‘Avengers: Infinity War‘, which was a series of six comics that came out in 1992 and was a sequel to the comic series ‘Infinity Guantlet‘, which basically had the entire Marvel Universe, trying to stop the evil Thanos. Well, Marvel has now hired the director, or shall I saw directors for that project. Those directors are Joe and Anthony Russo, who are the guys who directed the impressive ‘Captain America: The Winter Soldier‘ movie. They will also direct the next film ‘Captain America: Civil War‘. Needless to say, Marvel has now invested a ton of money in these two talented filmmakers. According to Badass Digest, The Russo brothers will film the entire ‘Infinity War’ movie, which is slated to be split into two parts, but will be filmed at the same time together. No writers are attached yet, however, I imagine that writers Christopher Markus and Stephen McFeely from ‘Winter Solider’ will come back aboard as the duo plans to start shooting the film in 2016. ‘Infinity War I and II’ are not slated to release until 2018 and 2019, so indeed, we have a while and a whole bunch of Marvel films to get to, before three more years. But judging by ‘Winter Soldier’ making over $717 million at the box office, this was a great move by Marvel. Film Review: ‘Captain America: The Winter Soldier’!! This entry was posted on Monday, March 23rd, 2015 at 4:13 pm	and is filed under Comics, Film, News. You can follow any responses to this entry through the RSS 2.0 feed. You can skip to the end and leave a response. Pinging is currently not allowed. « Jack Huston Cast As Undead Rocker Eric Draven in ‘The Crow’ Remake!!! This is for breaking my brother's heart.